Herefordshire snails and slow cooked Elwy Valley lamb ‘lasagne’ with a parsley sauce (£11) was less successful however. The flavours were good and the pasta was well made. However the dish was under seasoned and slightly cold. 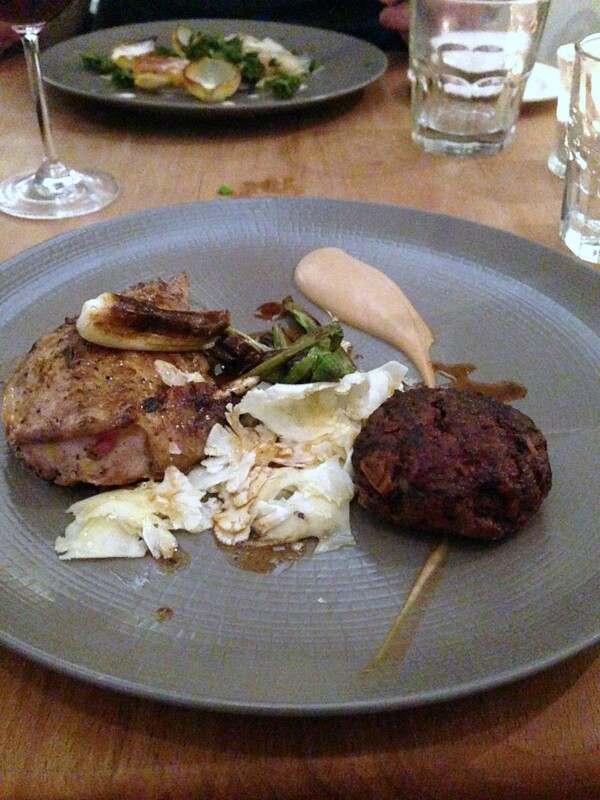 Young Scottish pheasant cooked in hay with cauliflower and a spiced ‘burger’ (£27) was truly delicious. The pheasant breast was delicate, moist and tasty, and it worked well with the accompanying slivers of crunchy cauliflower. But the star of the plate was the spiced ‘burger’, a wonderfully seasoned patty of minced pheasant meat which was gorgeous. A lovely jus brought this dish together. But our second main was a disappointment. 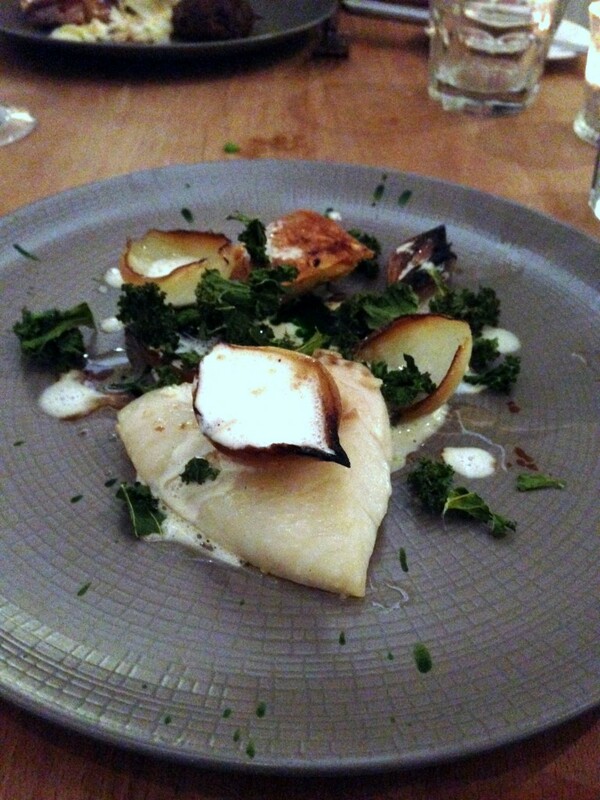 A dish of turbot with crispy ‘Label Anglais’ chicken from Temple Farm in Essex, Cévennes onions and parsley (£27) arrived at our table cold. The cooking of the turbot was fine, but the chicken was dry and overcooked to round off a dish that we didn’t enjoy very much. To desserts, and a pumpkin clafoutis with amaretto ice cream and poppy seeds (£7.50) was really lovely with a scrumptious buttery filling. 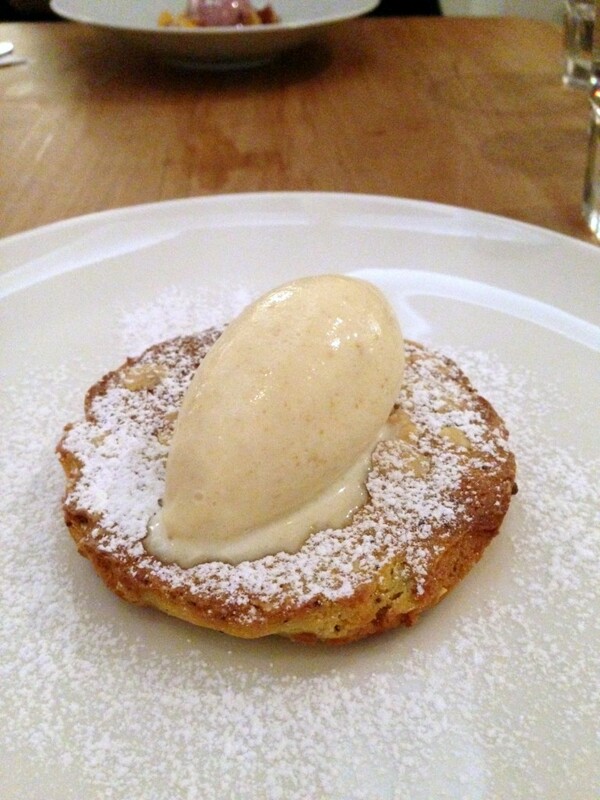 There was a light airiness to it that showed off a skillful touch, and the ice cream worked well with the clafoutis. 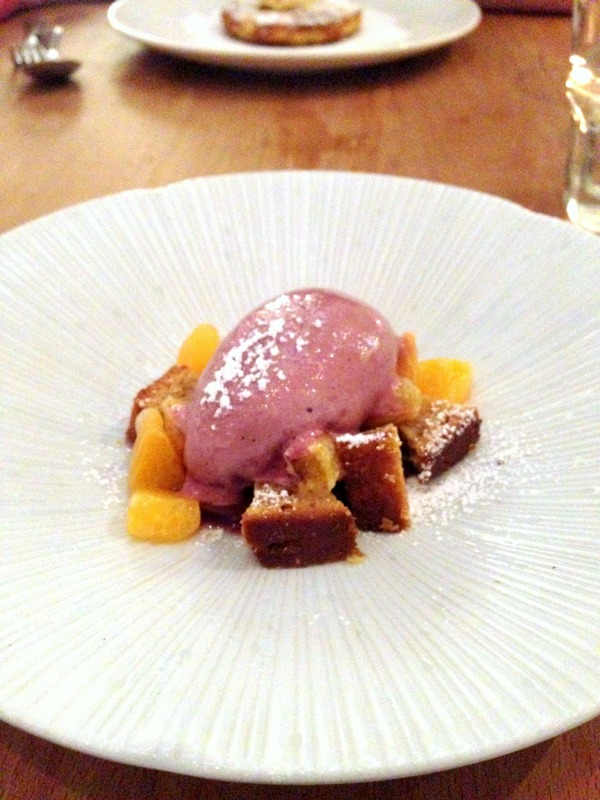 We also tried a dessert of Lady clementines with citrus panna cotta mulled wine and spiced banana cake (£7.50). I didn’t really understand the point of this plate. The elements such as the panna cotta and cake were well made, but the combination of flavours was odd and not entirely appealing. The use of mulled wine was probably in recognition of the festive season, but this felt more like a case of style over substance. 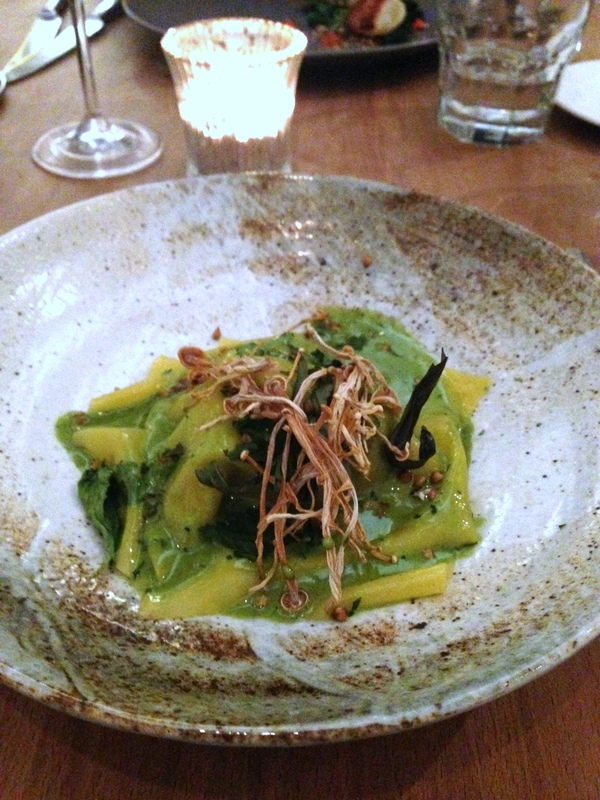 Arbutus proved to be a mixed experience and certainly less enjoyable than what I previously remembered. Some of the dishes were wonderful, but then others were less so. I must also confess to a certain sense of disappointment as I hadn’t expected to see the level of errors that we saw at a One Star Michelin restaurant. Portions were also a bit small and felt stingy. 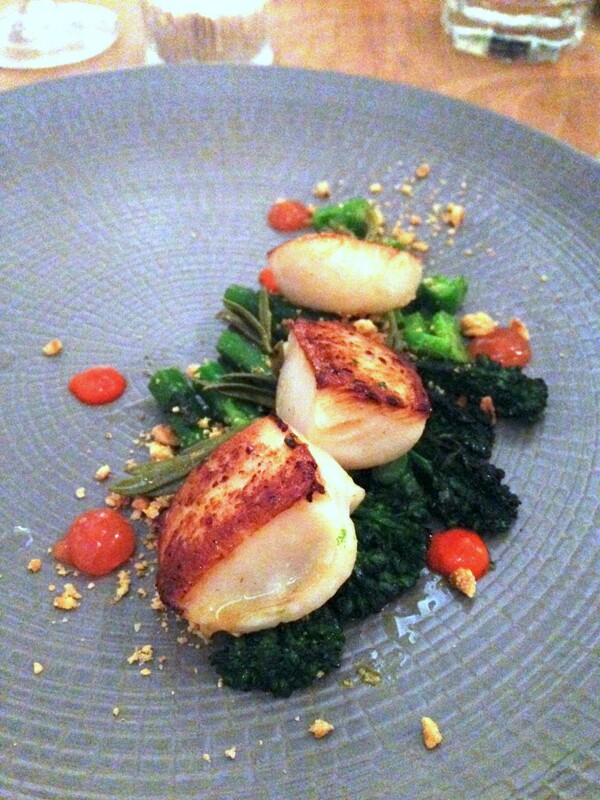 Considering we only really enjoyed one in every two dish, Arbutus proved to an underwhelming experience. The service was fine, but the waiting staff forget to bring us bread. There was some great cooking to be had. 1) Conversely, mistakes were evident in some of the other dishes, showing up inconsistencies in the cooking. We enjoyed only one in every two dish. 2) Some of the dishes were cold. Underwhelming for a One Star Michelin Restaurant. Average is about £47 per person excluding drinks and service.